A clip-on tuner designed specifically to recognize the low frequencies of your bass. The AW-LT100B provides stunning battery life with approximately 100 hours of operation using a single AAA battery. The body's lightweight design features triangular shuttle switches that allow intuitive operation. In addition, the AW-LT100B features enhanced sensitivity for detecting the low-frequency range, perfectly covering your tuning needs even for basses that have a larger number of strings. 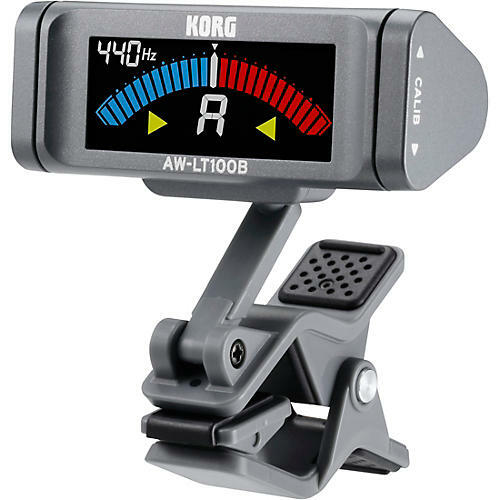 KORG's AW-LT100 line of clip-on tuners will get in you tune faster and keep you in tune longer than any other clip-on tuner.